Cheery Bomb drink recipe made with Cherry,Vodka,. How to make a Cheery Bomb with all the instructions and ingredients. Use 2 parts Cheerwine, 1 part vanilla vodka....Cheery Bomb. 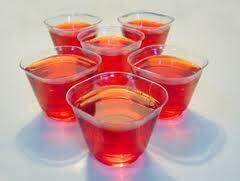 Jell Shots View This Recipe!